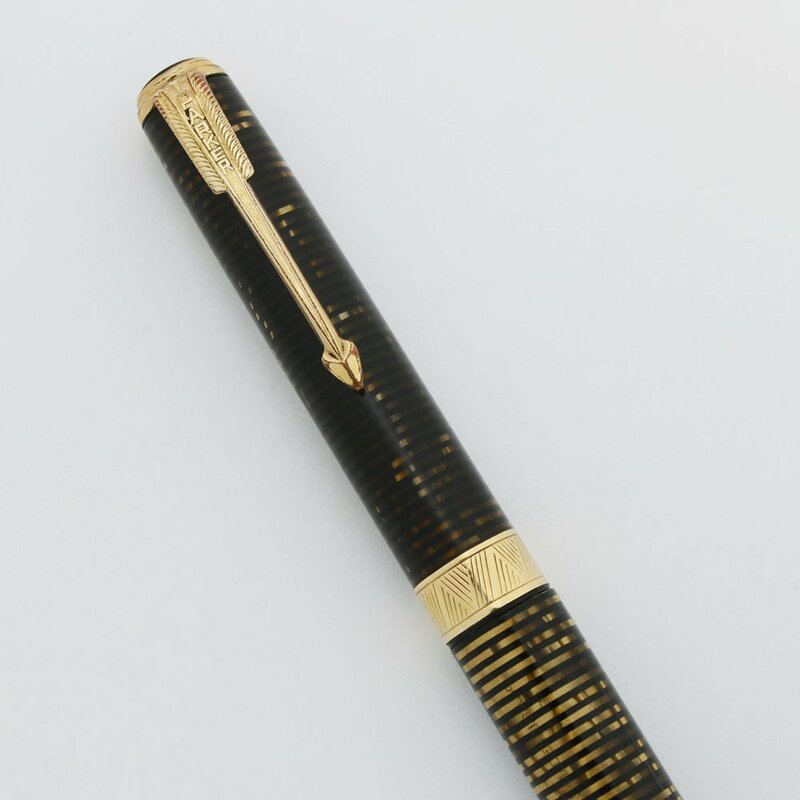 Parker mechanical pencil from the Vacumatic line, made in 1940. Brown pearl colored body and jewel with gold plated trim and a wide cap band. Excellent condition, working well. Type Vintage mechanical pencil, working well. Product Name Vacumatic.... this is the fat pencil that matched the Maxima pen. Manufacturer and Year Parker, made in USA -- 1940 (the imprint .0. is clear, indicating manufacture in 1940). Filling System This pencil takes 1.1mm (or "Thick") leads, which it extends via the traditional twist mechanism. It's working well, and we'll include a small pack of leads. Color Brown Pearl body, cap, and cap jewel with gold plated trim and a wide 1/4" cap band with interlocking V pattern. Condition Excellent + condition. 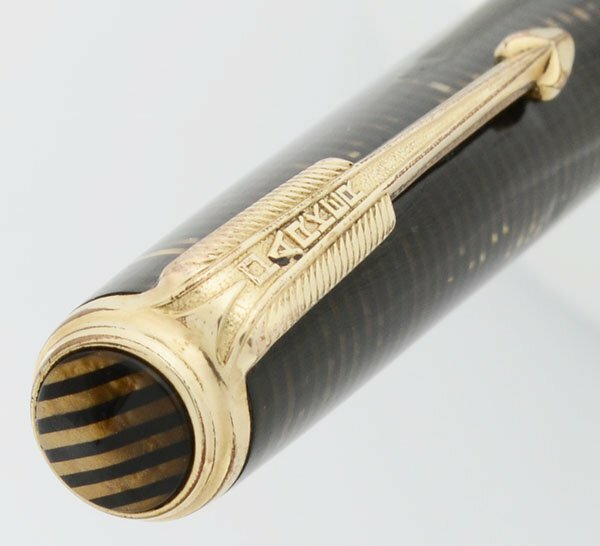 The pencil has a rich brown and amber striation that is very beautiful. The pencil has some light scratching throughout. There are a few scratch marks to the left of as well as under the clip, and a small smoothed divot to the right side of the clip. The conical tip has what appear to be chew marks on the bottom edge. There are no cracks, dings, chips or personalization.